As planned, Amanda and I left Norwich yesterday morning at just about 4:45 a.m. and had a rather nice (as well as uneventful) drive down to New Jersey where we picked up Darci and continued on our way to Baltimore through the rain and increased traffic that you just can't seem to avoid on I-95 here in the Northeast Corridor. 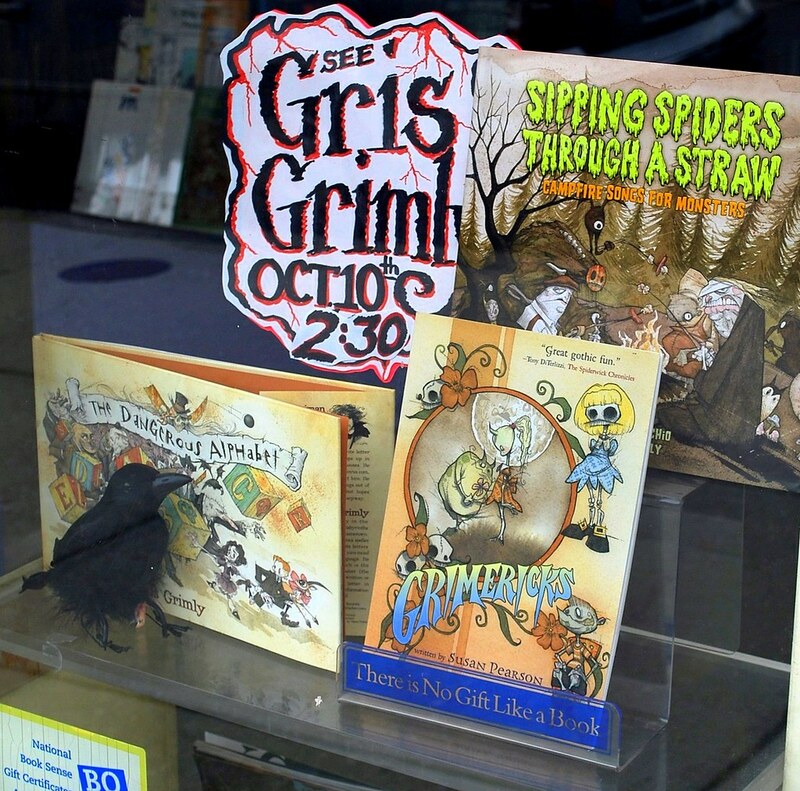 Still, we got to our intended destination in plenty of time to hang out and wait for the much-anticipated-by-Amanda book-signing by her very favorite illustrator and inspiration for a lot of her own work, Gris Grimly. I was rather surprised to see that the venue was a rather tiny independently owned bookstore in a northern neighborhood of Baltimore and was wondering if perhaps the shop used Time Lord technology - aka "bigger on the inside than on the outside" - but nope, it was a cute little book shop in a cute little neighborhood. Finally the designated hour arrived and we, along with about 20-25 other people, gathered in the back room of the bookstore to listen to Mr. Grimly's presentation as well as ask him any questions we might have had. Now, because it's in the Parental Contract that we are required to embarrass our children whenever the opportunity presents, I took that time to ask what advice Gris might have for an aspiring illustrator (as I pointed to Amanda whom I was standing behind as she sat on the floor along with everyone else who was limber enough to do so). Of course Amanda couldn't see me point her out but it became rather evident as the answer to the question was directed right at her while the others were all laughing a bit and she later accused me of "outing her" but I think perhaps in some small way she was glad that I had. Oh, and for other aspiring illustrators out there, the answer to the question was to draw as much as you can and get a lawyer! Following the question-and-answer period, books were signed and photos were taken and I think I may have embarrassed Amanda again a time or two but I was simply living up to my parental contractual obligations! Amanda also received a very nice poster from Gris for having come all the way from Connecticut to attend the book signing (a poster that others were paying $20 for); a promise that he had made to her via Twitter yesterday and that he didn't forget! 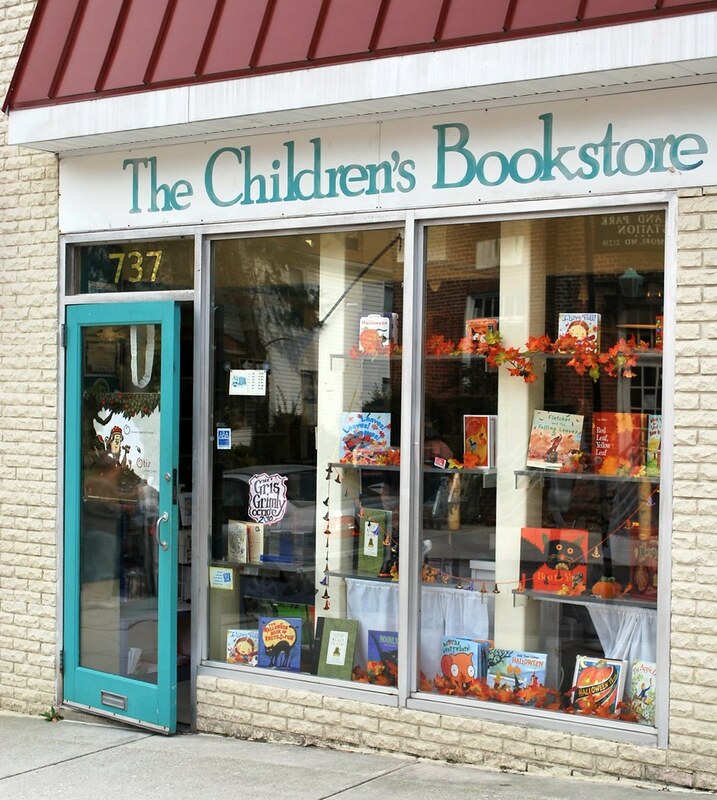 Oh, and lest I forget, the reason that the book-signing was being held at The Children's Bookstore rather than at a Borders or Barnes & Noble is that Gris prefers to support the independent and smaller stores rather than the big "box" stores. It's his way of giving back some and I think it's a great way for readers of his books and fans of his illustrations to meet him. All in all, I was quite impressed with Amanda's "role model" and am looking forward to the eulogy that he'll be delivering at Edgar Allan Poe's funeral today which is the next "big thing" on our trek to Baltimore. I'll be sure to keep you informed! parental contractual obligations... LOL! It works for step-parents as well! I've never heard of him before, but now I think I'll look him up. Book signings are fun, especially if you can actually THINK of a question to ask. 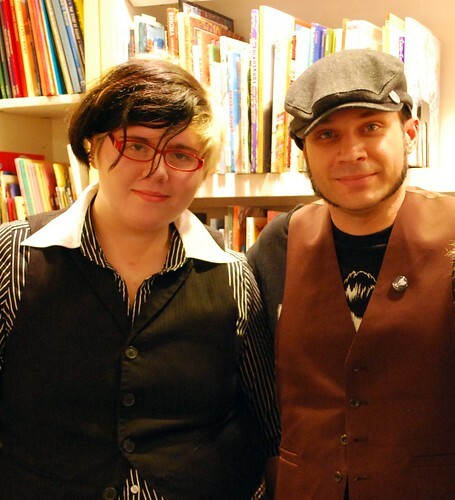 That's so cool that Amanda met her favorite illustrator! I'll have to look up his work online now. You are one cool mom, Duchess Linda. Have fun at the funeral. Poe must be deader than dead by now. Gris is a great inspiration to Amanda. Good of him to keep his promise. I really value his stance on that!!! That is a lovely picture of Amanda and one I'm sure she will cherish. Embarrassing children is right there at the top of the Parental Code of Conduct ... no fine print, you just do it. It gets you "Looks" at the time. A couple of years later: "I Love YOu and shared giggles". This is absolutely awesome! Not everyone gets to meet their idol, and if they do, the idol doesn't always live up to expectations. This guy seems like a real class act. Amanda is extremely talented, and I know she will go far with that talent. I hope she never backs down on that dream! What a wonderful opportunity for Amanda and for you to share it with her. To heck with embarrassing her - you're helping her continue to grow her talent.